The Lower Devonian system is well represented in Tennessee, forming part of an almost unbroken sequence of deposits ranging in age from the Middle Silurian to upper Lower Devonian. The Ross Formation of west-central Tennessee contains the most diverse and abundant Lower Devonian invertebrate fauna and . . . the most fossiliferous member of the Ross—the Birdsong Shale. The fauna throughout the Ross Formation is remarkably consistent but it is the Birdsong Shale which allows the easiest access, collecting and cleaning of specimens. The Birdsong Shale is well exposed in road cuts along State Highway 69 and in the many active and disused quarries of western Tennessee. It consists of highly fossiliferous alternating beds of argillaceous limestone and finely laminated shale. The shale beds break down easily, making them ideally suited to the collection of fossils. The shale was laid down in a shallow marine environment known as the Ross Shelf. 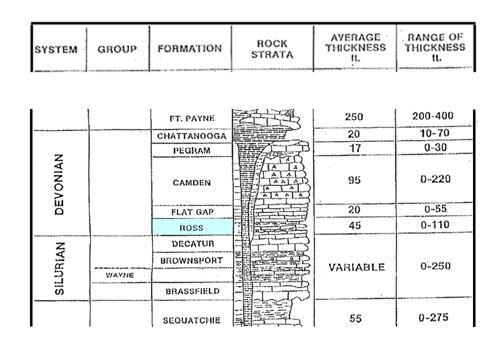 The Ross Shelf formed part of the western arm of the Epeiric Sea - a narrow, continental seaway which stretched from New York to Oklahoma (figure 1). The water of the Ross Shelf was only a few hundred feet deep, which was sufficient to allow sunlight to penetrate and a diverse fauna to thrive. Based on faunal similarities, the Birdsong Shale has been correlated with the Cravat Member of the Bois d’Arc Formation in Oklahoma and the New Scotland Formation in New York. The Birdsong Shale is informally divided into 3 distinct units based on faunal differences. The lower most unit was termed the ’Brachiopod Zone’ by Dunbar (1919) due to the abundance of brachiopods within the shale beds. A thinner, middle bed of massive bryozoan rich limestone was termed the ‘Bryozoan Zone’, and an upper most bed of trilobite rich shale was named the ‘Trilobite Zone’. 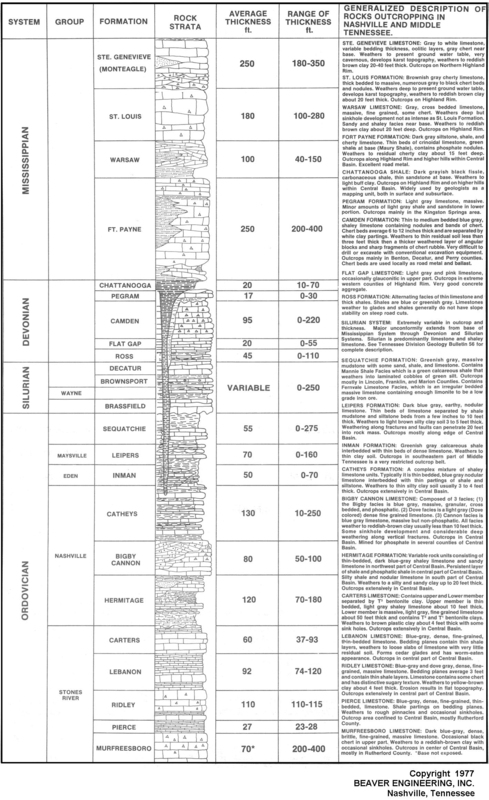 The Brachiopod zone is by far the most dominant member of the Birdsong Shale and is most readily collectible. -- Kieran Davis, from "Lower Devonian Fossils of Tennessee"
The Ross Formation is dated to the Devonian Period. Alternating facies of thin limestone and thick shales. Shales are blue or greenish gray. Limestones weather to glades and shales generally do not have slope stability on steep road cuts.